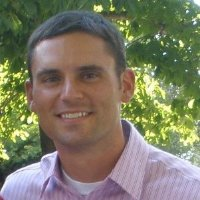 Hire a Hero, Hire a Vet recently caught up with Matthew Heid, a former US Army Engineering Officer who began his career as a Process Engineer for LMI Packaging Solutions in April 2013. In his new position, Matthew works for a company that makes heat seal lidding for a variety of food products. “My job is to standardize our processes at LMI, make our production facility run more efficiently, and cut down on waste and inefficiency,” he says. This position was newly created, so it’s been fun for him fun to define this job title for the company. Obviously, Matthew didn’t receive any training in making yogurt lids in the Army, but some things he learned as an officer are helping him out in my current job. These include time management, hitting deadlines, handing multiple tasks at the same time, implementing change to an organization, increasing efficiency, etc. Also, since Matthew is in manufacturing, there is a high emphasis on safety, and being a Company and Battalion safety officer prepared him well for that. “It’s been exciting to transition. I enjoy the people I work with and am satisfied with the choice I made. I have a lot of responsibility, and my boss trusts me and gives me a lot of latitude to complete my projects. I am never told when to start/end work or how long my lunch is,” Matthew explains to us. The assumption is, he says, that, as a former Army Officer, he is responsible and will get the job done as quickly as possible. He feels it’s great to have a lot of freedom to maneuver and work without a lot of micromanagement. The military forces you to learn new jobs quickly, which is what Matthew is doing now. He’s in a completely new industry where most people have been in the same field for years. Adapting to new situations quickly is an Army norm, and it’s been helping him out at LMI. “My time management and multi-tasking skills have also helped, but I have had to quell the urge to say ‘hooah’ when I don’t know what else to say!” jokes Matthew. Matthew sees a much greater emphasis on profitability in the civilian world than in the Army. He says that if he is ever in a hiring position, he would look for a veteran that can learn fast, make an immediate impact, and make the company more profitable. He’d hire someone with intangible leadership and organizational skills, and a strong work ethic any time.